It's officially maple syrup season. The weather is getting warmer and the sap is starting to flow. Unsalted Butter - 4 Tbsp. Heat oven to 450 degrees. Place squash, cut sided up, on a baking pan. Season with salt and pepper. 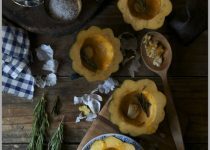 Place 1/2 tablespoon butter and 1 tablespoon Maple Orange Garlic Sauce into cavity of each squash, and sprinkle herbs over the tops. Roast squash until very tender and well browned, basting frequently with syrup in the cavities, about 1 hour. Serve warm. 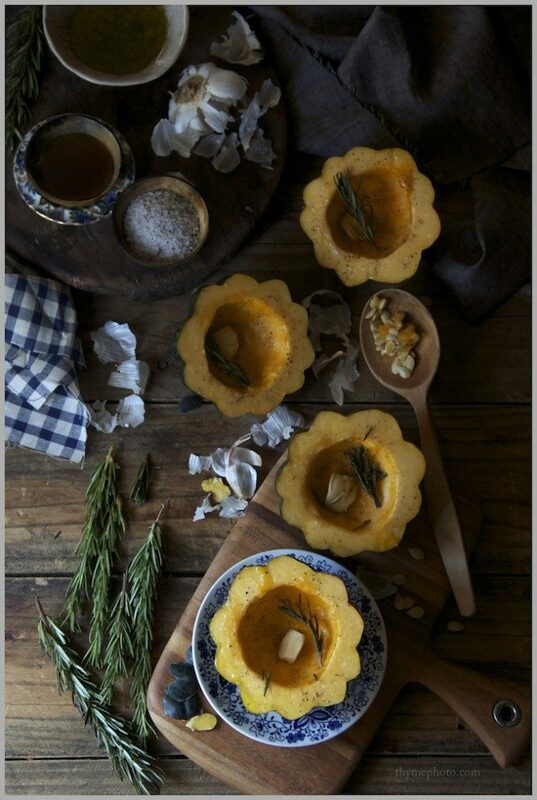 **To keep the squash steady while baking, cut off a thin slice from the rounded sides; butternut squash also works well in this recipe.